อ่านรีวิวSabai-Arom Urban Happiness Smile Aromatharapy Mist 100 ml. สบายอารมณ์ เออเบิร์น แฮปปี้เนส สมาย อะโรมาเทอราพี มิสท์ สเปรย์น้ำมันหอมระเหยเพื่อความผ่อนคลาย กลิ่นสมาย 100 มล. Do you find it hard just to smile away? Well, then you may haven’t heard the unique story about the Thais. Despite the unchangeable life miseries, they always grin with delights for they know life is like that; it doesn’t give like it take and it has a strange way to tease human beings. Thus, it is just so ordinary to see the Thais smile in every corner. And that’s why Thailand has been long called ‘The Land of Smiles’. To help you harvest the happiness all around like the Thais, our ‘SMILE’ was formulated with a minty-icy-cool blend of rosemary, peppermint, basil and black pepper essential oils, clearly confirmed to have mind-lifting benefits. Why gloomy when you know a blooming heart always attracts good things into life!? 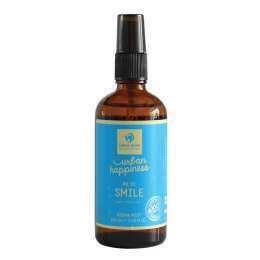 Sabai-Arom Urban Happiness Smile Aromatharapy Mist 100 ml. 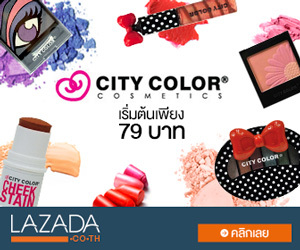 สบายอารมณ์ เออเบิร์น แฮปปี้เนส สมาย อะโรมาเทอราพี มิสท์ สเปรย์น้ำมันหอมระเหยเพื่อความผ่อนคลาย กลิ่นสมาย 100 มล.